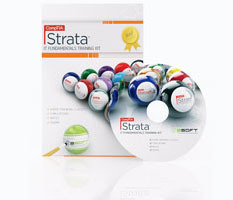 The CompTIA Strata IT Fundamentals training kit developed by Bsoft and approved Departrment of Education Govt. of Kerala, ensures a knowledge of PC components, functionality, compatibility and related technology topics. ITIL Training Kit , Developed by Bsoft is one of the best ITIL self training kit available in the market today. It is famous product in many oversees market. We are providing this to you at very low cost. Our claims are only based on different feed backs received from various clients and not based on self-judgment. Details Call : 0484 3241497.